Offering you a complete choice of products which include ITW Conveyor Belts such as ITW Belts or Taping Machine Belts and Original ITW Belts Snaps. 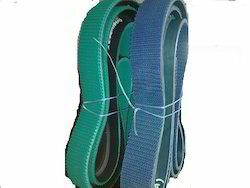 We have also developed a wide variety of ITW Belts or Taping Machine Belts that is used in Shrink packaging machines. These are available in various sizes and dimensions and can also be customized as per the specifications. Blessed with the support of the most dedicated range of machineries, we have been engaged in offering with an impeccable and durable series of Original ITW Belts Snaps. Looking for ITW Conveyor Belts ?